ALavandhAr (yAmunAchArya) have mercifully written a beautiful samskritha sthOthra prabandham named chathu: SlOkI (4 SlOkams) which brings out the glories of srI mahAlakshmi who is the divine consort of srIman nArAyaNan. In addition to the four SlOkams, we have the customary thaniyan (invocation) that is written by srI rAmAnuja in glorification of yAmunAchArya, the author of this treatise. 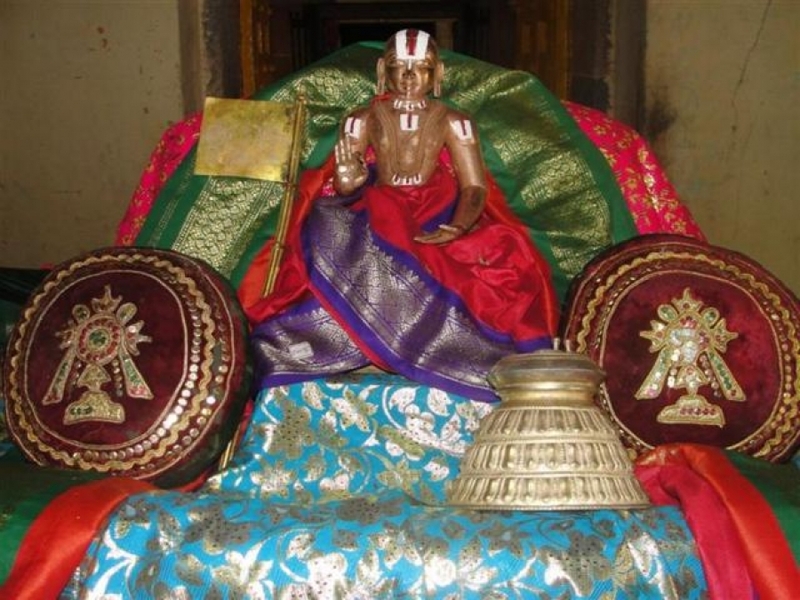 We also have a SlOkam which is generally recited at the end which attributes these four SlOkams to perundhEvith thAyAr (the divine consort of varadharAjap perumAL, kAnchIpuram). dhAmal swamy has also included a couple of SlOkams (at the end) which add to the wonderful experience of this prabandham. This entry was posted in chathu: SlOki, Other on December 1, 2015 by Sarathy Thothathri.